I combine my knowledge from massage, anatomy from my science background in pharmacy and yin yoga to teach Roll and Release Worskhops, corporate classes and regular weekly classes around Adelaide. I am also hosting the Yoga Tune Up Roll Model teacher training series in Adelaide if you'd like to learn how to teach these techniques to your own students. 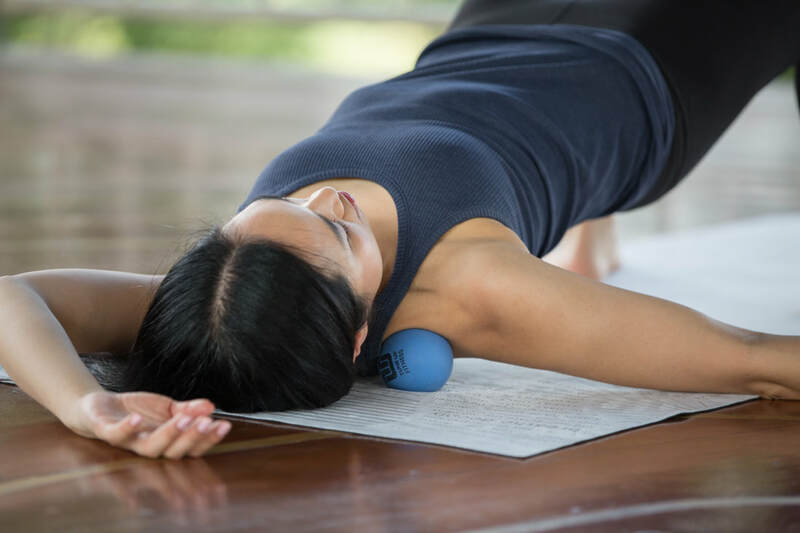 Students have the opportunity to unwind and release their bodies during these classes and techniques used span from the top of the head to the toes using the student's choice of 4 different sizes of Yoga Tune Up balls or soft golf balls to smooth out trigger points in muscles and allow the fascia to release. All techniques are done fully clothed, lying on a yoga mat or towel, or leaning against a wall if less pressure is desired. Each class features different sequences and postures that can be modified to suit the individual's range of motion. No prior experience in these techniques is necessary. 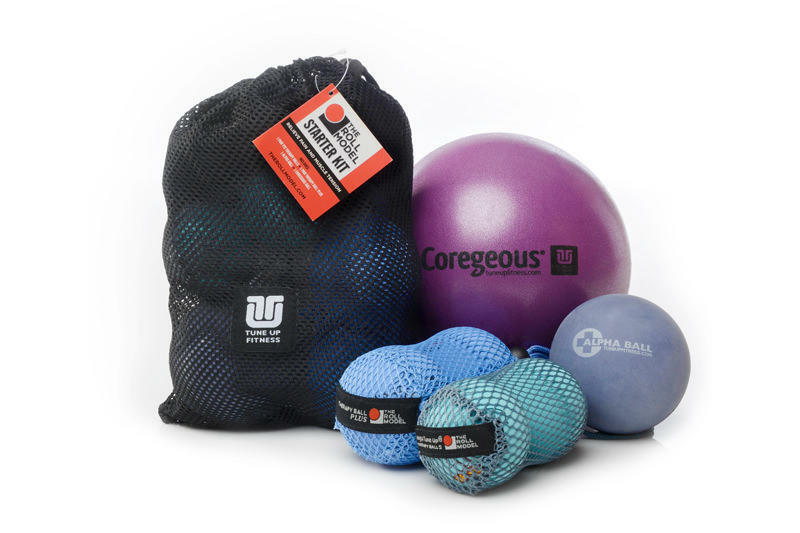 I stock the entire range of Yoga Tune Up balls on my Shop page. My Therapy Ball workshops focus on using the balls to release adhesions and trigger points in the myofascia of specific target areas. 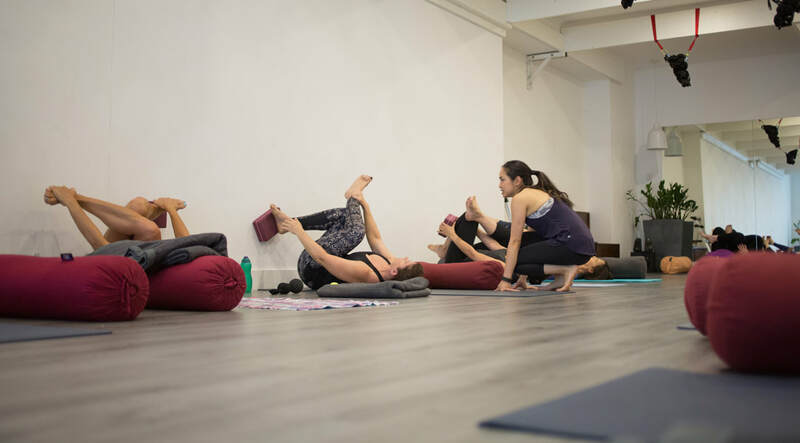 We work on releasing a few areas at a time (for example, rolling out areas in the upper back) before moving into a yin yoga posture (long hold stretch) to lengthen and realign the tissue. To find out more about my upcoming workshops, please see my Workshop page. Therapy ball work is priced from $30/participant (or $25/participant > 10) for 60mins, all equipment supplied, with a minimum of 6 students per class. "My name is Stewart. I am the least flexible participant in your yoga class today!! Cyclist with thigh/glute strain. Thanks so much for today's class. While not wanting to overstate it, my body and post the class, my mind, felt liberated after doing Yin. I have enjoyed all your classes, but the Yin today was just the tonic"